The purpose of this brochure is to assist owners and managers in preparing yearlings for sale. It could be said that the way yearlings are prepared for sale is a tradition with few questioning the process. Talking with industry stakeholders it would appear that “we do what we do because that is what we have always done” or simply because “everyone else does it that way”. For owners and managers willing to take a leap of faith, they will find that there are more economical ways to prepare a yearling for sale that won’t cause the health and behaviour problems that current practices may cause. Yearling preparation has significant impact on the coat, muscling and fat cover. It can also impact the walk, temperament, conformation and X-Ray results. When bringing yearlings in for sales preparation, sometimes little can be done to rectify historical mismanagement or nutritional problems. It is important however, to recognise that the time leading up to the sales is critical if the purchasers criteria are to be met. It is generally considered that the factors that influence conformation are genetics, nutrition and exercise injury. The majority of bone growth occurs from the last trimester through to 12 months of age. Throughout this period it is critical to ensure mares and foals receive proper nutrition. Anecdotally over fat mares are more likely to develop offspring with Development Orthopaedic Disease (DOD) than mares in ideal condition. It is believed that over fat mares predispose to foetal malpositioning that results in congenital flexural deformities and Angular Limb Deformities. It is estimated that 50% of stud farms supply excess energy in the diet of young stock which is directly linked to DOD. The goal of sales preparation is to show the yearling at its best. This requires sound nutrition and adequate exercise. Developmental orthopaedic conditions that will be evident on X-Rays. 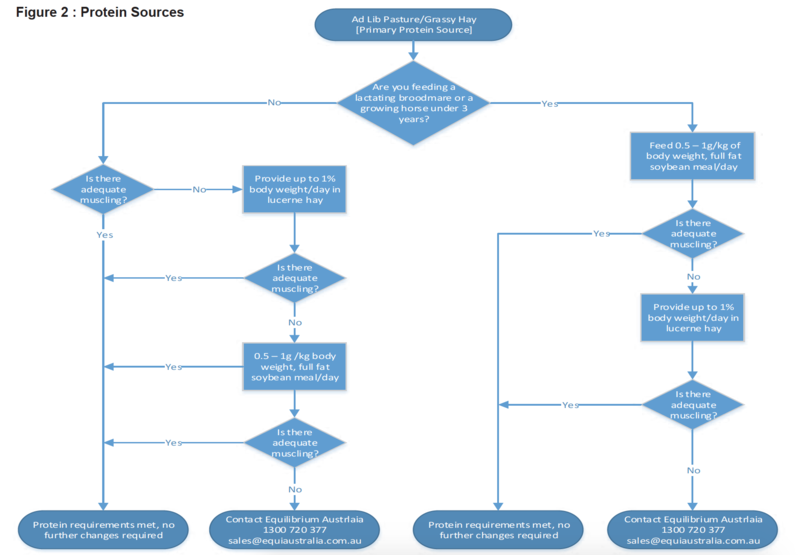 Table 1 illustrates how core ingredients satisfy the (nutrient requirements of) yearlings. Using the correct combination of ingredients will result in a yearling with optimal fat cover, excellent muscling and a rich soft glossy coat. It will also not cause the behavioural problems commonly associated with high concentrate intakes. For stud managers preparing large numbers of yearlings, it may be beneficial to group like horses together so that the feeding program can be tailored to their needs. This reduces waste and will provide better results. Regular assessment of each yearlings fat cover and adequacy of muscling is required to ensure changes to the ration are made. Protein quality refers to the amino acid content and suitability for horses. Full fat soybean meal is considered a very high quality (5 star) protein source and also happens to have a high protein content (36%). This is closely followed by lucerne with a content of 19.2% with a good amino acid content (4 star). Whilst grass, cereal grains and sugar beet pulp have reasonable percentages of protein, the quality is lower and supplementation with protein is likely to be required. Roughage in the form of grass or hay should form the basis of all horses diets – including performance horses and horses undergoing yearling preparation. Adlib roughage will ensure a healthy digestive system is maintained and will provide the majority of energy in the diet. are considered very safe energy concentrates that will assist with fat cover without causing the digestive disturbance and behavioural problems associated with grains. Protein concentrates are recommended for all horses up to the age of three. Anecdotally, excess protein has been associated with behavioural problems. Other disadvantages of excess protein are reduced performance in racehorses and an unnecessarily expensive feed bill. Inadequate quantity or quality of protein results in poor muscling and topline. Equilibrium products are specifically designed to be incorporated into the diet to complement the energy and protein content. Energy and protein concentrate requirements will vary depending on the quality of roughage. Incorporating minerals and vitamins into a concentrate ration means that adjustments to energy intake will change the mineral, vitamin and protein intake. Similarly to make adjustments to the protein intake, it will make changes to the mineral, vitamin and energy intake. Separating energy, protein, minerals and vitamins sources reduces waste and ensures each horse is receiving the optimal ration. Excess energy in the diet will result in an increase of fat cover. Energy is supplied in the form of carbohydrates or oil. 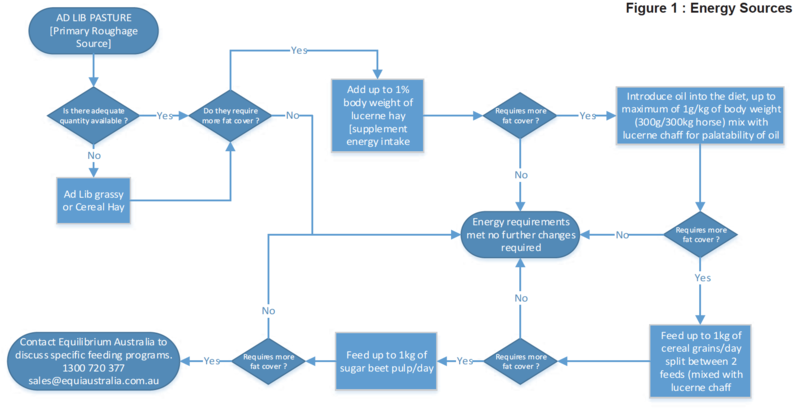 Figure 1 shows the order in which each energy source should be added in the diet. Protein quality and quantity both affect the ability of horses to build adequate muscles. Excess protein will not achieve any further muscle gains and is an expensive way for horses to accumulate additional fat stores. Figure 2 shows the order each protein source should be added to the diet in order to achieve appropriate muscling. You may be surprised to learn that Equilibrium supplements are the secret ingredient for many highly successful show horses in Australia, New Zealand, UK & Europe. Whilst Equilibrium supplements are broad spectrum supplements designed to top up and rebalance the diet, in the showing world it is valued for its ability to bring out a brilliant, deep, shiny coat all year. The Equilibrium feeding program works to ensure that the common negative side effects of traditional yearling preparation don’t occur. Feeding high starch and sugar feeds cause digestive disturbances which may result in horses tying up, showing behavioural problems and predisposes to DOD. The Equilibrium feeding program works to keep these levels low and well within what current research deems are safe levels. In the ideal world yearlings would be prepared in a social paddock environment where they can graze, play and self exercise all day. A natural approach would alleviate many of the problems associated with intensive sales preparation. In researching this topic the most concerning comment we came across was that fillies required more exercise than colts because they gained weight easier and required more exercise to keep their weight from ballooning. The reason we highlight this comment in particular was that excessive or inappropriate exercise can worsen existing DOD problems or create new problems that will be evident on X-Rays. The first step in reducing fat cover should always be to reduce or eliminate energy concentrates, then reduce roughage quality. The goal is for yearlings coming into sales preparation to have good muscling. Yearlings with poor muscling are indicating a protein deficiency in the diet or an underlying health issue. Poor nutrition and management costs Australian studs millions of dollars a year in lost income and veterinary expenses. 80% of Thoroughbred foals born in Australia have some degree of ALD (Aldred, 1998). Management of the diet and husbandry of the foal can exacerbate the development of osteochondral problems. Factors that contribute to bone growth disorders include genetics, trauma, pre and postnatal nutrition. Osteochondrosis (OC) is the failure of or abnormal cartilage maturation. Osteochondrosis dissecans (OCD) is when abnormalities of joint cartilage and subcondral bone has progressed to cracks and fissures in the cartilage. OCD is more advanced than that seen in OC. Physitis (Epiphysitis) is inflammation of the physis, or metaphyseal growth plate. It is generally considered to be a manifestation of OCD although it is believed that it can result from excessive exercise, excessive weight or poor conformation placing stress on the immature bone. Angular Limb Deformities (ALD) exists when the limb deviates axially from the normal vertical plane. Congenital ALD are present at birth and are generally believed to be as a result of malpositioning of the uterus, joint laxity or incomplete ossification of the small bones in the knee or hock (commonly found in premature foals). Acquired ALD are apparent within the first few months of life and can result from OCD in the physis causing asymmetric growth, the result of trauma or uneven weight distribution across the joint. Flexural Deformities result in the inability to straighten or extend the leg with a knuckled over or upright appearance to the limb. Causes include infections or toxins during development of the embryo, positioning of uterus, genetic factors, pain resulting from physitis, OCD or other injuries or a difference in bone growth and tendon development. Subchondral Cystic Lesions is a cyst like structure in subchondral bone. Lesions can be secondary to OCD or the result of trauma to weight bearing joint surfaces. Cuboidal Bone Malformation occurs when there is a delay in the endochondral ossification of the cuboidal bones in the knee. Causes include prematurity, hypothyroidism or variations in normal rate of ossification. Generally presents shortly after birth as bones collapse under weightbearing stress. Causes of DOD include trauma, rapid growth rates, large body size, hormonal aberrations, genetic predisposition and incorrect nutrition. Excess energy intake, particularly in the form of soluble carbohydrates will consistently produce lesions of OCD (Aldred, 1998). A study showed horses fed 29% more energy then recommended by the National Research Council (NRC) resulted in 11 out of 12 foals with numerous OCD lesions with only 1 of 12 foals on a diet consistent with NRC recommendations showing OCD lesions. The foals on the high energy diet had more lesions with greater severity then the one foal on the NRC diet. Overfeeding a pregnant broodmare may also effect the incidence of DOD in her foals. Anecdotally, overfat mares are more likely to have offspring develop DOD then mares in optimum condition. Overfat mares may predispose to foetal malpositioning that results in congenital flexural deformities and ALD. Protein deficiency combined with an adequate energy intake may cause reduced bone growth without affecting weight gain, and this may predispose to DOD (Gibbs et all 1989). A Calcium and Phosphorus imbalance can cause DOD and both are required for normal bone development. A deficiency or imbalance causes impaired endochondral ossification, decreased bone mineralisation and results in a wide range of problems including lameness, decreased bone density, fractures and DOD. The calcium to phosphorus ratio should be maintained between 1.1:1 to 2:1. An inverted ratio (calcium less than phosphorus) results in nutritional hyperparathyroidism also known as bighead or bran disease. Experimentally a diet with a calcium to phosphorus ratio of 1: 2.1 has shown to cause DOD with 5 out of 6 foals developing multiple OCD lesions (Savage et al 1993). Copper deficiency has been linked to stud farms with high incidences of OCD (Gabel et al 1987). Experimentally low copper diets have shown to increase rate of OCD, physitis, ALD and flexural deformities (Hurtig et al 1993). Zinc deficiency in an unpublished study in the USA found foals fed 152ppm of zinc had less cartilage defects than those fed 42ppm. Further research is required to confirm this finding. Exertional rhabdomyolysis (ER) is muscle pain and cramping generally associated with exercise. It can be sporadic episodes or chronic where there are repeated episodes. Chronic exertional rhabdomyolysis is described as recurrent exertional rhabdomyolysis (RER), which commonly affects Thoroughbreds, Standardbreds and Arab horses. It also accurs with polysaccharide storage myopathy (PSSM) which predominantly affects Quarter horses but also Paints, Warmbloods, Appaloosas, Morgan horses and draft breeds. Nutritional causes linked to ER include electrolyte imbalances or deficiencies, mineral imbalances or deficiencies, vitamin deficiencies and excess grain, starch or sugar in the diet. Oversupplementation can cause mineral and electrolyte imbalances therefore a broad spectrum macro mineral, trace mineral, electrolyte, vitamin and salt supplement is recommended. Horse owners and trainers of horses that have suffered ER should aim for a 100% roughage diet, if concentrates are required, high fibre and high fat products should be fed in preference to starch or sugar feeds. Also known as founder or foot fever, it is an extremely painful and debilitating condition of the hoof. Blood flow in the hoof is compromised leading to breakdown and degeneration of the union between the horny and sensitive layers of the laminae. It is a symptom of a generalised metabolic disturbance and can be classified as acute (very severe), subacute (severe), or chronic (milder signs). Rotation of the pedal bone within the hoof may occur in longstanding chronic cases and can even perforate the sole of the foot. The most common causes are excess carbohydrates (grain overload) or grazing lush pastures. Excess sugars and starches ferment in the hind gut leading to lactic acid buildup killing normal gut bacteria and releasing endotoxins. The endotoxins are absorbed into the bloodstream and travel to the hoof where they interfere with normal blood flow. The blood flow is dramatically reduced with sludging and emboli occuring in the capillaries. The reduced oxygen perfusions means that the hoof wall starts to degenerate and break down, resulting in the clinical signs of laminitis. To prevent grain overload all horses should be fed roughage adlib and minimal concentrates added when required. For horses that are susceptible to pasture induced laminitis, download our laminitis fact sheet from our website. Defined as abdominal pain it is the most frequent cause of emergency treatment and death in horses. Risk factors include diet, internal parasitism, medical history, management and weather-related factors. A change in feeding program, amount of concentrate fed, access to pasture, type of forage and water intake are associated with the greatest risk of colic. Horses fed more than 2.5kg of concentrates per day are five times more likely to colic than horses on 100% roughage diets (Tinker et al., 1997) A decrease in pasture availability (either no pasture, reduction in paddock size or reduction in time on pasture) tripled the risk of colic (Hudson et al. 2001). Meal feeding concentrates exaggerates fermentation, resulting in decreased pH and altering fluid balance, resulting in intestinal distention or impaction colic (Clarke et al, 1990). Studies have shown implementing high roughage minimal concentrate feeding programs will reduce the risk of colic. Equilibrium supplements were developed by Dr Lex Wills BVSC MACVSc. Equilibrium Australia is made up of a passionate team of people that strive to cut through the marketing hype and present the factual information so that owners and trainers can make informed decisions. If there is one idea we want you to take away from this brochure, it is that a horses mental and physical health and wellbeing goes hand in hand with the commercial viability and profits of your business. If you don’t have one you won’t have the other. Auckland, NZ and Newbury, UK. All manufacturing of Equilibrium branded and LexveT branded products takes place in our manufacturing facility in Brisbane and is distributed from there. As a family owned business we continually strive to provide a quality and economical product to tens of thousands of horses each year and are proud to help you improve your horses’ health and performance. Our in house manufacturing facility means no cross contamination with feeds or supplements of other species. Our manufacturing facility has a Quality Control System and every batch is sampled and checked by a Quality Assurance Manager. Where possible we source locally produced raw materials, often with a premium price tag. However we value the quality and consistency of the raw material. When it comes to what goes in the product we do not compromise. The cost of a product depends on many factors including research and development, raw material costs, overheads, marketing etc. Once our products were released on the market we quickly gained momentum and our high turnover results in a competitively priced product. One of our most unique qualities is that we have only two product lines. Equilibrium Mineral Mix is a broad spectrum supplement that contains macro and trace minerals, vitamins and salt. 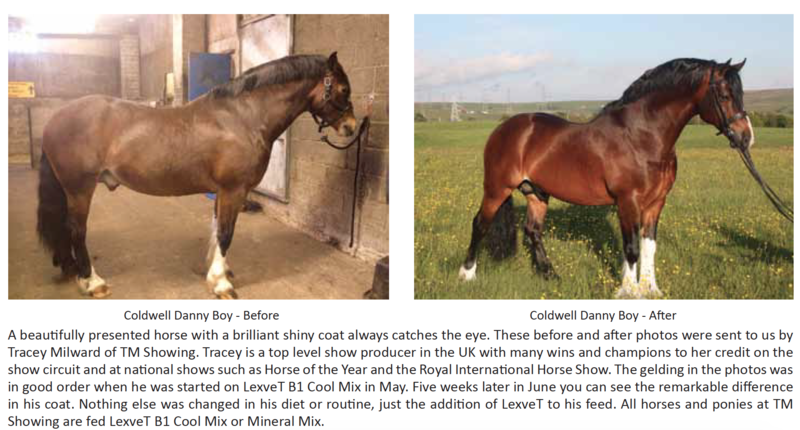 Equilibrium Mineral Mix is recommended for all horses. Equilibrium B1 Cool Mix has higher levels Magnesium and Vitamin B1 which are both involved in the nervous system. Equilibrium B1 Cool Mix is recommended for nervous, fizzy or excitable horses. Over 3,000 stores nationally are able to order Equilibrium into stock. Bulk quantities and discounts are available for delivery direct from our manufacturing facility in Brisbane with your local feed store carrying your account as normal. Contact sales@equiaustralia.com.au for bulk prices. Recommended retail price varies from $79.95 – $99.95 for a 22kg bag. A 22kg bag will last a horse over 15hh in hard work 5 ½ months. Clarke, L.L., Roberts, M.C, Argenzio, R.A. (1990), Feeding and digestive problems in horses – physiological responses to a concentrated meal. Vet. Clin. North American Equine Practice 6:433 – 450. Connysson M., Essen-Gustavsson B., Lindberg J.E., Jansson A. (2010), Effects of feed deprivation on Standardbred horses fed a forage-only diet and a 50:50 forage-oats diet. Equine Veterinary journal, 42: 335-340. Ellis J.M., Hollands T., Allen D.E. (2002), Effect of forage intake on bodyweight and performance. Equine veterinary Journal, 34: 66-70. Gibbs, P.G, Sigler, S.H., Goehring, T.B. (1989), Influence of diet on growth and development of yearling horses. Journal of Equine Veterinart Science; 9, 215 – 218. Glade, M.J., (1983), Nutrition and performance of racing Thoroughbreds. Equine Veterinary Journal, 15: 31-36. Jansson A., Lindberg J.E. (2012), A forage-only diet alters the metabolic response of horses in training. Animal, 6, pp1939-1946. McLean B.M.L. Hyslop J.J., Longland A.C., Cuddeford D., Hollands T. (2000), Physical processing of barley and its effects on intra-caecal fermentation patterns in ponies. Animal Feed Science and Techonology 85, 79-87. NRC (2007), Nutrient Requirements of Horses, Sixth Revised Edition, National Academies Press.